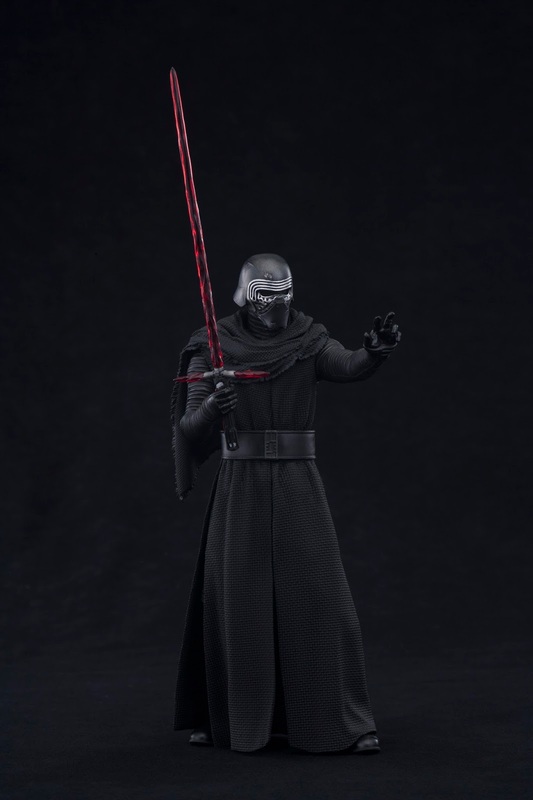 Another great Kotobukiya Japanese import! 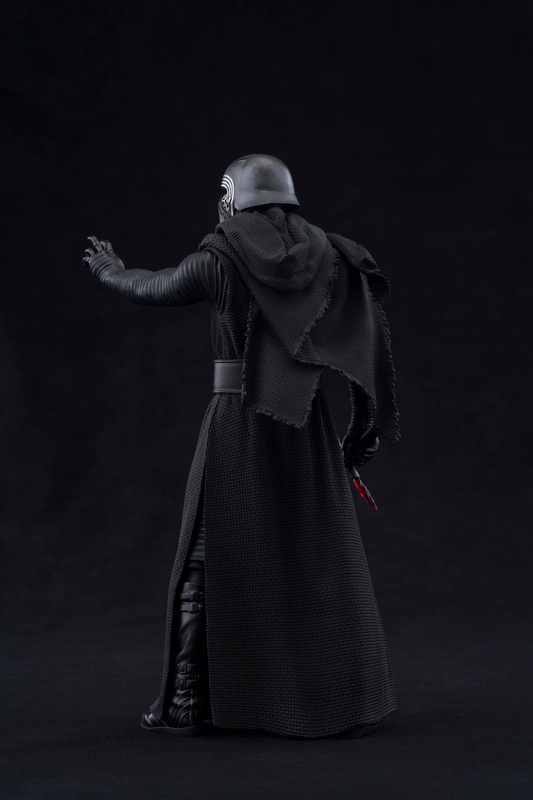 From Star Wars Force Awaken; ARTFX+ Statues bring you all of the quality and detailing that you expect from an ARTFX release in a great smaller scale perfect for collecting! The mysterious shrouded Kylo Ren accompanies the First Order in their quest to control the galaxy. As he aids their campaign new information surfaces about the whereabouts of a Jedi Master that will lead him on a direct course to face his past. 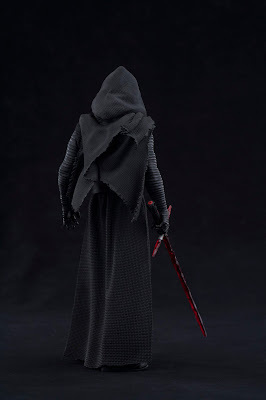 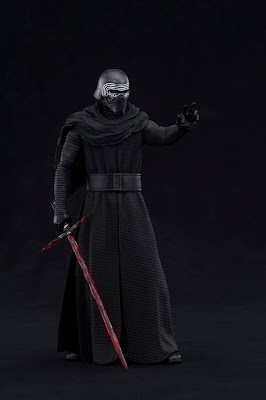 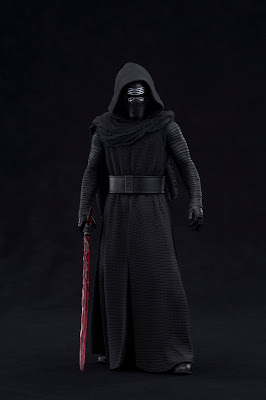 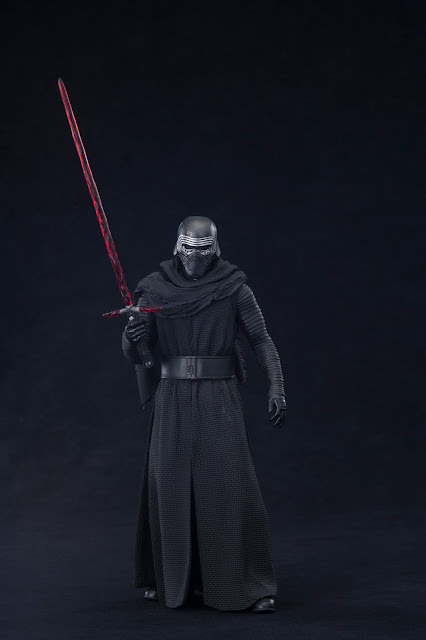 Display Kylo Ren with his hood up or down in 8 unique poses with the included action parts. 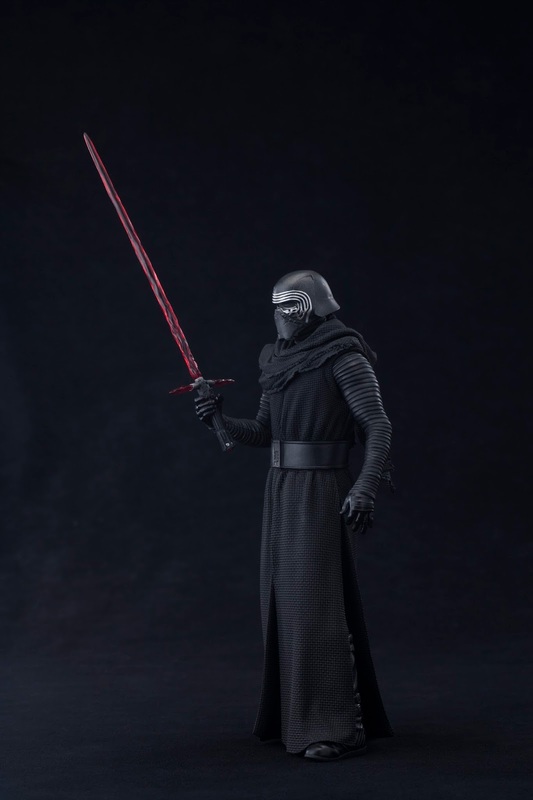 Kylo Ren is perfectly scaled (1/10) to the figures in the ARTFX+ line and comes with magnets in his feet for extra stability on the included metal display base.